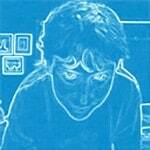 My friend d has written an excellent article about living with asperger’s. I can relate to much of what she said in the post and I am guessing that a lot of people who visit LBnuke will too. That is an amazing article – I think NT’s should read it – it helps us understand how very little we understand! It expands the view of the limitless possibilities of the human brain and will hopefully help open people’s minds (so to speak) about how we think about “normal” human behavior.